Before I get to the week's news, I wanted to suggest the possibility of a meet-up among local Gluten Free Philly readers to take place in late February or sometime in March. I'm thinking Latin-influenced Casona in Collingswood, New Jersey, with its extensive gluten-free menus for adults and children (they can prepare a gluten-free "Cuban pizza"), would be a good spot for a weeknight dinner. If you are interested in attending, please complete a short survey through this SurveyMonkey link by Tuesday, February 9. If there's enough interest, I'll work with the restaurant to figure out the best date and announce details on the site. 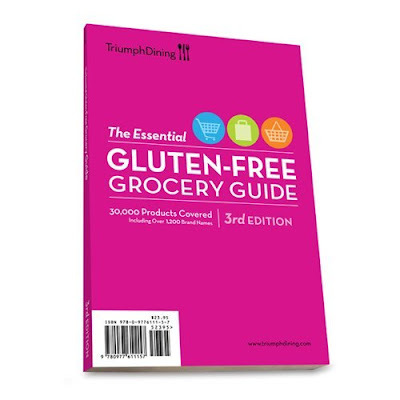 Belated congratulations go out to reader Julie, who was the winner of the recent Goodies Giveaway prize - a Triumph Dining Gluten-Free Grocery Guide. 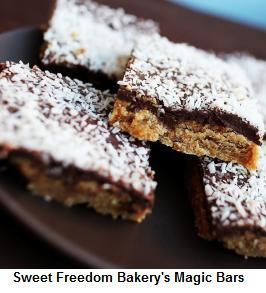 On Monday, I posted a review of the new Sweet Freedom Bakery in Philadelphia, which bakes a variety of allergen-free cakes, cookies and other sweets. California Cafe, serving West Coast-style fare at the Plaza in King of Prussia, offers menu items that are, or can be made, gluten free. Capt'n Chucky's Crab Cake Co. now makes a gluten-free version of their renowned Smith Island Crab Cake. 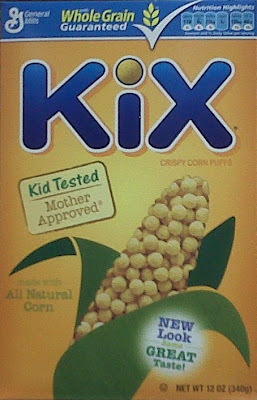 The Newtown Square company (5159 West Chester Pike, 610-355-7525) uses corn meal as a binder. The crab cakes are sold frozen by the six-pack at $5.50 per cake. Hat tip to reader Kathy. Tortilla Press Cantina in Pennsauken is now serving lunch. Both the Cantina and The Tortilla Press in Collingswood accommodate gluten-free diets, though only the Cantina has a dedicated gluten-free fryer. The Drafting Room in Exton (635 N. Pottstown Pike, 610-363-0521) and Spring House (900 N. Bethlehem Pike, 215-646-6116) currently has Redbridge beer on its drinks menu (the Spring House location also offers Woodchuck Granny Smith hard cider). The longtime gluten free-friendly Outback Steakhouse just introduced My Outback Rewards, a loyalty program that can earn diners a variety of rewards. 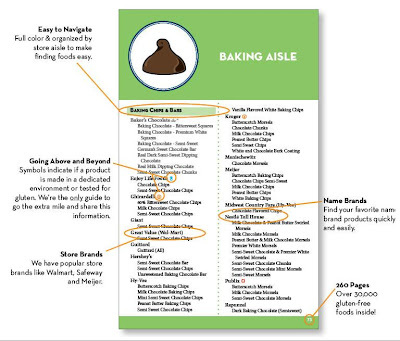 I ordered some Betty Crocker gluten-free chocolate-chip cookie and brownie mixes at Amazon.com this week after I saw the hefty discount being offered right now on the entire line of baking mixes. 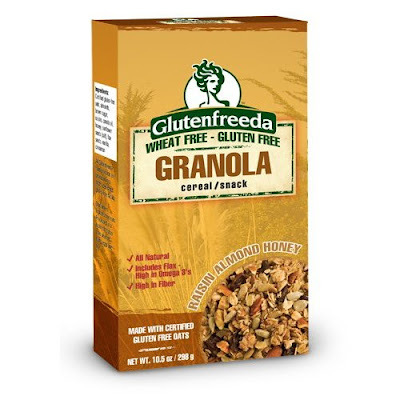 You save 15% by using code BETTYCGF at checkout (good through February 28, 2010) and an additional 15% (with free shipping) when placing a Subscribe & Save order, bringing the per-box price down to $2.78. If you're not familiar with the Subscribe & Save program, you select how frequently you want the receive the item when placing the original order, but you can skip intervals and cancel the subscription without obligation at any time. So if you just want the product once, combine a Subscribe & Save order with use of the code and then cancel the future orders after you receive the first shipment. Amazon also sends out reminder e-mails in advance of future shipments in case you forget to cancel right away. I think the current cupcake craze has jumped the shark with the introduction of Post's new (gluten-free) Cupcake Pebbles cereal. 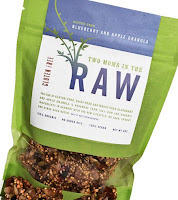 Check out the hilarious, off-color review of the product posted at Popdose. Take a tour of the Marlton Whole Foods Market on Tuesday, February at 6 p.m. and then stick around for a free gluten-free cooking demonstration to help you prepare for the Super Bowl. Plenty of product samples from all departments will be available. Space is limited, so register by calling 856-797-1115 or e-mailing Marketing Specialist & Community Liaison Jen Honovic. The Delaware Celiac and Gluten Intolerant Group's next monthly meeting is scheduled for Sunday, February 7 from 3:30 p.m. to 4:30 p.m. at Christiana Hospital in Newark (Room 1000). 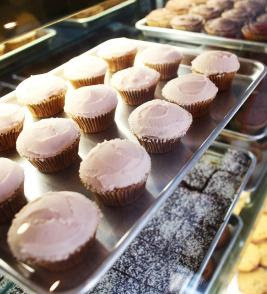 The group will welcome Kristen Ippolito of Amaranth Gluten Free Bakery. Call 302-482-4882 for more information. 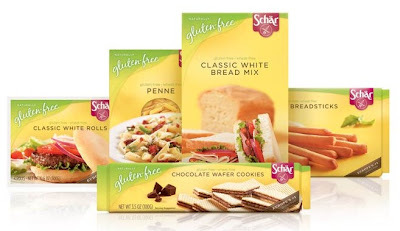 Regional kitchenwares chain Kitchen Kapers is hosting a demonstration on gluten-free bread baking on Monday, March 22 from 6 p.m. to 8 p.m. The instructor is Elizabeth Barbone, the author of Easy Gluten-Free Baking. For more details or for reservations, call 856-778-7705. The event will be held at the Kitchen Kapers Culinary Academy, located at the East Gate Square Shopping Center in Moorestown.